Hello friends…. How are you all? Are you facing problem with your slow operating system? I am here with a super solution of this problem. I will give you software that makes your PC so fast. 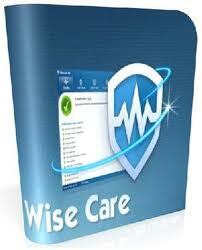 It is a comprehensive application that helps your PC run faster. In Bangladesh, its present market price is above tk 2000. Now you can get it free! At first, download this software from the following link. At last, it will start to check your PC. It will remove more invalid and junk files to free up much more space.